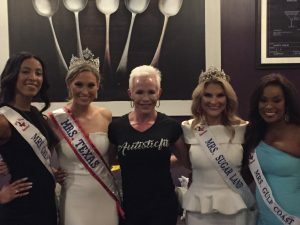 Special Thanks To The Middle Spoon In sugarland town center for hosting our wonderful event last night; In light of autism and speaking to the benefits that the role of exercise plays in cultivating a flourishing life for those on the spectrum and managing the autism symptoms along the way. Thank you to the beautiful ladies for joining the health and fitness piece of the journey with a little pageant flare!!! The vision is to expand a new concept of equanimity and a collective effort among the autistic, and the neurotypical individual through touching life in such a way to improve understanding and boost self-esteem and build on their future potential skills and successes. However, we cannot complete this mission without you. Please donate today.